Trade Finance or Import Finance provides funding for pre payment of goods demanded by the seller often against confirmed orders from your customers. Understandibly manufacturers rarely release goods until payment is made in full and the cargo can be at sea for weeks. Your customers won’t pay for 30 days ….. the scenario can require substansial amounts of cash and perfectly good business opportunities are missed. 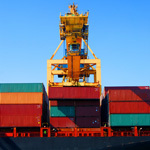 Trade or import finance can provide up to 100% funding for goods and other importation costs. Trade finance improves cash flow, bridging the funding gap between paying for finished goods and receiving payment from your customer. The finance can even cover the legal duties, VAT and freight required to get the goods to the end customer. Complex paper work, administrative costs and risks associated with importing can be overcome. Just Factoring understands this specialist area of funding and which providers to turn to. Additional services such as Letters of Credit, freight tracking and compliance with tax, duties and customs documentation can also form part of your package.